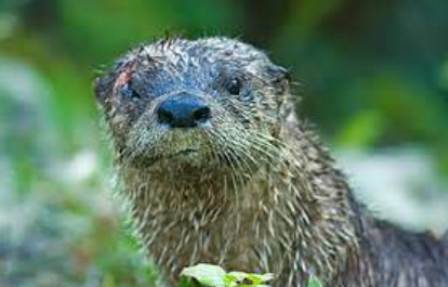 In our home, we’re out to save and protect the river otters. Well, at least one person in our home has decided to. That person would be my daughter, Gabriella. 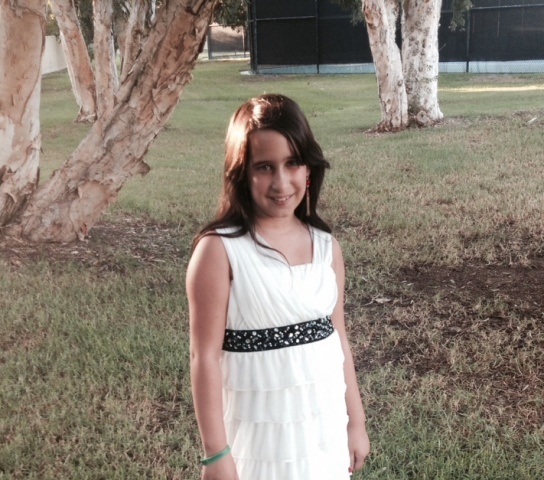 Gabriella is in 5th grade and will be 10-years old next week. I call her “Gaphrodite” just to mess with her, especially when she’s wearing one of her toga-like, long, flowing dresses. She dances when she thinks nobody is watching. She won’t let me take her picture if she thinks I’ll post it on Facebook. People tell her all the time that she looks like me, and she hates it. “I’m not a boy!” she shouts proudly. And as long as she can remember, we have worked with her to teach her about money. You see, Gabby was 3-years old when Gina and I decided to change our family legacy. We were deeply in debt, and our marriage was in real trouble. Through the encouragement of some trusted friends, we enrolled in Dave Ramsey’s Financial Peace University. With that course, we began the long process of changing our lives and our future. During the three years that followed, we worked like crazy and paid off enormous amounts of debt. Once Gina and I locked arms against a common enemy (our debt), our marriage was renewed and to this day is better than ever. It was during those years that we decided to start teaching Gabriella how money works. Modeling Dave Ramsey’s suggestions from FPU, we taught Gabby about spending, saving and giving. She was able to earn money and kept envelopes for all three categories. She quickly developed an entrepreneurial spirit (one Thanksgiving weekend a couple of years ago she earned over $200 with a simple lemonade stand). She is a natural saver, which is really fun to watch. So this school year, having watched her progression over the years, we decided that she was ready for Stage Two – her own monthly income. Based on a case study I read, we designed a personal income plan for Gabby to manage. Gina and I decided on certain categories where we already spending money on Gabriella, categories that we now wanted to turn over control to her to manage directly. It’s important to note that this isn’t costing our household anything – these are dollars that we were already spending anyway. We just made the decision to empower Gabby to start controlling her spending in those categories. What are the categories, you ask? We decided to start the program with the following: school lunches, school supplies, art supplies (the girl is a serious artist), accessories like jewelry/hats/purses, extra toys, classmate birthday party gifts and family gift giving for birthdays and holidays. If you were to do this in your home, your list may look very different. That’s a good thing – after all, it’s your home and you know your kids. We decided that each Fall we will review the plan, and expand it as she grows older and her needs change. Our vision is to equip her with practice and wisdom far before she starts buying her own clothes and putting gas in her own car. Saving – on the first Friday of every month, Gabriella receives her $90 in cash. On the very next day, Saturday, we ensure that we get her to the bank to make her deposit. We want that savings muscle to be constantly flexed in her life from a very early age. When we first started the program in September, we took her to the bank to officially open her own savings account (and make a VERY big deal out of it in the process). Giving – we really want our children to become natural givers. As people of faith, we teach the tithe in our home – a giving back of 10% to your local church as an act of acknowledging where our income (along with everything else) comes from. But it is also important to Gina and I that Gabby gives where she deems there is a need – not just where we tell her to give. Otherwise she becomes a courier and it’s not truly giving of her choosing. Week 3: Saving/Investing – we discussed with Gabby the power of compound interest, different ways to save and earn off of your savings, how much she would have to save and how often in order to buy her first car, etc. 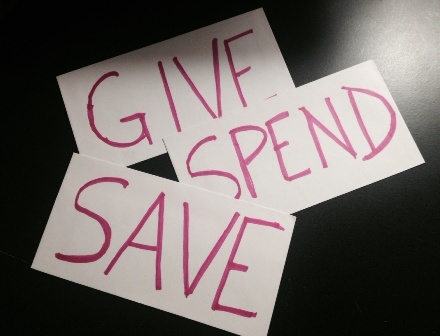 Week 4: Budgeting – Gabby is held accountable for how the dollars are spent. At the end of the day she will make her own choices (with our counsel), but the important thing here is tracking and teaching her how to budget and look for spending trends. She has her own spreadsheet where she tracks every purchase. She may find out that she doesn’t need to buy those lunches at school after all! Week 5: Price comparisons/opportunity costs – our desire is that she develops the ability to shop and spend with wisdom. Teaching kids how to find bargains, get more for less, etc. is fun to do. Teaching them about opportunity cost – “What can I buy later if I DON’T buy this trinket today?” is even more fun, and it teaches the little cherubs self-discipline and self-denial – a crucial component of success in adult life. Gabriella attacked these classes with enthusiasm. It was a blast to see her excitement, her willingness to sit and discuss different ways that she can give of her resources, time and talent. On the Sunday where we discussed giving, we used some of our class time to search the internet for reliable organizations that she was passionate about. Her early decision (after all, plans DO change when you’re a 10-year old) was to adopt a river otter and give to support the renewing of its habitat. Personally, I would have gone with the snow leopard or bald eagle myself, but that’s just me. What makes a 10-year old girl fall in love with something that looks like this? The final ground rule is for Gina and me – hands-off involvement. Yes, we are there to provide guidance and counsel. But we have to allow our daughter the breathing room to make poor spending choices as well. We’ve prepped her with a solid foundation. She’s had the good fortune to watch as her mom and dad worked their way out of debt, talked about their own household budget, and delayed our own gratification on some purchases. A month into the plan, Gabby is doing amazingly well. Along with her saving and giving, she’s bought a couple of lunches at school, a birthday gift, a water bottle and a toy for her brother. That’s it. The kid simply has the saving money gene running through her veins. We all have children at different stages of development, and this plan obviously isn’t a solution that will work in every household or with every kid. Gina and I really enjoy this process of turning over the stewardship of a few dollars to our daughter to manage. Some would shudder at the thought of giving a 10-year old more than a thousand dollars over the course of a year. We think of trying this with Holden at the 10-year old mark (he’s currently five) and shudder ourselves. But I also believe that we all want a better future for our kids – one where they are better informed and make fewer (or, at least different) mistakes than we did. So in our home, we’ve chosen to teach and empower, celebrate the successes, watch the stumbles, pick them up again and teach some more, and ultimately watch the legacy change once and for all. What a great article – perfect for parents to read. 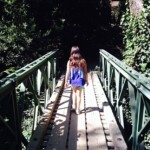 Now that my kids are older, I wish I would have done the same things. You’re setting Gabby up for success, because money doesn’t buy happiness, but it certainly affects most people’s ability to be happy and to feel a certain level of freedom in their lives. What about giving her an extra 10% and saying that should be invested in her own personal development? So like you did with researching the cause for her to give to, you’d have to research some things that she’d like to learn about, books to read, CDs to get, etc. Dave – that’s a really great idea! Completely different mindset – learning isn’t something just to be “endured” at school, but something to be embraced all through life. There’s a study from 2007 that showed that 1/3 of high school graduates never pick up another book after high school, and 42% of college grads don’t read any non-fiction after graduating. Gina and I want to make sure that our kids end up in the “continual learning” crowd.